As Lehigh expands its efforts in sustainability, it makes a pledge to buy more of its food from local farms and humane sources. After class on a Friday morning in early February, sophomore Aleksander Gulkewicz ’20 pulls up a seat in Lower Cort at the University Center and starts entering dining hall invoices into his computer. Bagels, English muffins and multigrain rolls from a bakery. Eggroll wrappers, green curry paste and Nutella from a specialty foods company. He fills a spreadsheet with more details—vendor names, product codes and food descriptions. Later, he’ll analyze whether the items meet national “Real” Food Standards and check if the vendors have had any labor or safety and health violations. For two months each academic year, teams of students analyze invoices to determine if campus food purchases meet one or more of four criteria: that the food was grown or processed within a 250-mile radius of campus; that items were certified as Fair Trade (to indicate that a company’s employees earn living wages); that meats were sourced from animals that have been treated humanely; or that the food was produced in ways that show environmental stewardship. Though the analyses began in the 2013-2014 academic year, President John D. Simon formally signed the “Real” Food Campus Commitment just last fall. With that stroke of a pen, Lehigh pledged to annually increase its procurement of food from local, organic, fair trade and humane sources to 20 percent by 2020. Only two other colleges and universities in Pennsylvania—and 82 others across the country—have made a similar pledge in the nationwide, student-led movement to shift $1 billion of university food budgets away from industrial farms or junk food and toward sustainable food sources. “Lehigh is in a great position to take the lead, at least in our region in the Northeast: to set a goal and be in a great position to reach it,” said Lehigh’s Sustainability Officer Delicia Nahman. For one, she said, Lehigh is located in an agriculturally rich region, and thus has access to fresh local food in ways that maybe other campuses or universities don’t. Also, Lehigh students who are passionate about sustainability are applying what they learn in their courses to ask how the university can position itself to address global challenges and find solutions. Change has been quick. The initial/baseline assessment in the 2013-2014 academic year showed that just 2 percent of the food served in Rathbone came from sustainable sources. By the following academic year, Lehigh was able to increase that percentage significantly—to 11 percent of the food served in Rathbone and Stabler Arena. The Office of Sustainability is continuing to work closely with Lehigh Dining Services to meet the 2020 goals. Two sets of solarpowered compactors in the high-traffic area of Farrington Square hold more trash than regular bins. When full, the bins transmit a wireless signal to the custodial team, letting them know it’s time to pick up. Sixteen solar panels next to the Community Garden on Goodman Campus power a water pump and offset energy used by the nearby transportation building. The initiative grew out of a Mountaintop student project based around the idea of sustainable farming. 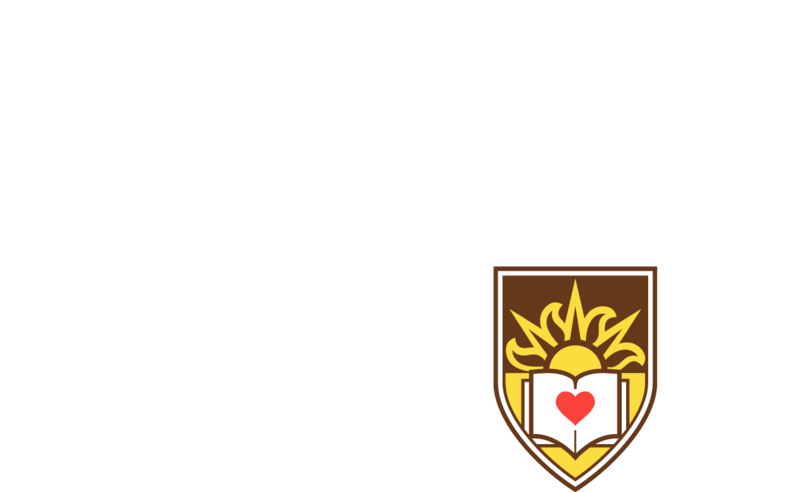 As part of a nationwide effort to fight hunger, Lehigh donates leftover food from its dining halls to two local shelters and a soup kitchen. Lehigh participates annually in RecycleMania, a national competition among colleges that aims to boost recycling and reduce the waste generated on campuses. A zero-emissions bus, decorated in brown, white and green, can recharge in three hours and circulate the Mountaintop Express route for seven hours. Lehigh’s Sustainability Officer Delicia Nahman said Lehigh is fortunate to have a dining service, in Sodexo, that’s open to new ideas and works hard to meet the university's needs. The “Real” Food Campus Commitment is the latest in Lehigh’s ongoing efforts in sustainability. Goals outlined in the Campus Sustainability Plan 2020, implemented in 2016, address Lehigh’s impact on air, climate, energy, grounds, transportation, waste, water and more. Among the food-related efforts is the Food Recovery Network, through which Lehigh donatesleftover food from its dining halls to two local shelters and a soup kitchen, and RecycleMania, a competition among colleges that aims to reduce the amount of waste generated on campus. As part of this broader sustainability plan, Lehigh has made a concerted effort to create metrics to track its progress. One area in which Lehigh does well, Nahman said, is in the integration of sustainability in curricula and student experiences, whether in the classroom or through campus events such as Earth Week. The Office of Sustainability also has begun creating an inventory of faculty research and courses that have sustainability as a core focus or class unit—information beneficial to both current and prospective students interested in that pursuit. “We also are working with career services to get students to continue their pathway to internship or career after graduation that continues to merge their [Lehigh] degree with their passion for sustainability,” Nahman said. Interest in the “Real” Food Challenge surfaced about five years ago, with students approaching Dining Services about possible involvement, said Sleeger. Further collaboration was needed with the administration and the Office of Sustainability, which had already held workshops with faculty, staff and students around sustainability issues, including the type of food served in Lehigh’s dining halls. The university’s Sustainability Plan grew out of those workshops. Before Lehigh would come to sign the pledge, however, a lot of work had to happen behind the scenes, including years of calculations of food purchases and talks with vendors. At the ceremonial signing of the pledge, President Simon read aloud Lehigh’s commitments, which include a transparent reporting system to assess food procurement, public progress reports and efforts to increase awareness around sustainability. Simon called them “important steps” for the university. As part of the latter, poster-size articles in Rathbone inform diners about the local farms where the food was grown or raised. The Lehigh Alumni Sustainability Alliance brings together alumni, faculty and staff to increase learning and career opportunities in sustainability-related fields. Lehigh Trustee Jennifer Gonzalez ’08 ’09G, chief sustainability officer of Hoboken, N.J., and Sunil Misser ’88, chief executive officer of AccountAbility, recently talked with students about their own professional journeys and career opportunities. A newly structured leadership committee include chair Dozie Mbunu ’92, co-chair Megan Schultz ’12, events chair Eric Weiss ’14 and membership chair Zoe Grossman ’15. Less than 30 miles away from the Lehigh campus, in Bally, Pa., is Butter Valley Harvest, a small, family-owned farm that uses hydroponics to grow butterhead lettuce, arugula, watercress and other vegetables year-round in its multi-bay greenhouse. The produce makes its way to the Lehigh campus through The Common Market regional food distributor. On a recent morning at Butter Valley Harvest, sunlight streams through the windows of the greenhouse as as co-owner Ryan Ehst, shown above, tends to the plants growing in channels. Ehst’s grandfather had a dairy farm on the land, and his father later grew crops. In 2008, the family built the greenhouse, using a nutrient-film technology system that recirculates water to feed the plants. Ehst said the system drastically reduces the amount of water needed to grow crops—he uses only about 10 percent of what would be required in the field. Finding out where the food is from is the next step in having sustainable living at universities and beyond. Aleksander Gulkewicz ’20 is among a group of students in Lehigh's Office of Sustainability who analyzes whether Lehigh food purchases meet national "Real" Food Standards. When the lettuce and other produce are delivered to Lehigh, chefs will create salads and garnishes, among other dishes. The purchases qualify as “real” food, which Gulkewicz and the other students will note in their calculations as the university moves toward its 2020 goal.